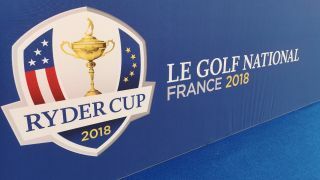 TechRadar Pro visits the most-connected Ryder Cup tournament to date. Golf is famously a sport known for its respect for tradition and formality - but in the increasingly digital world of today, the sport has had to react to changing demands from fans and TV viewers across the world. This weekend sees the 42nd Ryder Cup at the Le Golf National course just outside of Paris, where once again Europe will take on the USA for golf's top team honour. However the 2018 Ryder Cup is set to be the most tech-friendly yet thanks to a major partnership with technology giant HPE Aruba, and TechRadar Pro headed to Paris to find out more. "We really want to change the fan experience, and transform the fan experience thanks to technology," Gilles Thiebaut, managing director of HPE France, told us at a media briefing on the opening day of this year's tournament. "At HPE we believe that the enterprise of tomorrow will be data-driven, so the ability of an enterprise to collect data, extract information about what is possible, and then put it into the hands of people who can do something with it is actually very critical." Up to 150,000 fans from all around the world will be descending upon Le Golf National over the course of the Ryder Cup weekend, nearly all of whom will have a smart device of some kind, and will most likely look to use it to take pictures or film video - and then share it all online. This is a marked change from the past (as recently as the 2010 Ryder Cup at Celtic Manor in Wales, fans were banned from taking smartphones onto the course) and requires a robust and scalable network, which is where HPE Aruba comes in. Aruba has been tasked with establishing and monitoring the network at the course, using its expertise in the wider world to deliver responsive and reliable access to anyone who wants it. The course has been equipped with 200km of fibre optic cable, along with 15km of underground cable, to support 700 access points around the site - all at a location far away from the buzzing metropolitan Paris centre. "It is almost unique, it's the only one where you're literally creating an event from nothing," notes Tim Shaw, commercial director for Ryder Cup. "There almost isn't any comparison...it's almost incomparable to be honest." Thiebaut notes that the lessons learned from this weekend may play a wider role in future HPE projects as well. "The needs of the Ryder Club today are actually the needs of the enterprise of tomorrow," he says, highlighting similar work the company has done at the Stade de France and Gatwick Airport. Ultimately, HPE Aruba is aiming to build a "connected course" in its Ryder Cup work, bringing five seperate networks including scoring, wired and operational facilities, into one manageable area. With the European Tour running 47 events every year across five continents, the need for scalability is paramount, and as such utilises modular infrastructure that can be built up or downgraded as needed. The data it gains from the thousands of users accessing its network can also be a goldmine for the course organisers and sponsors alike, providing a wealth of real-time information. HPE Aruba can monitor its network usage to pinpoint particular areas of the course with large numbers of fans, prompting organisers to move more concessions stands to maximise profit. The system can also identify which players are attracting the biggest crowds, information that can be passed to television networks to tailor their coverage, and for the organisers to perhaps tweak their social media strategy to result in more online interaction. So as the two teams duel it out over the course of the weekend, the thousands of loyal golf fans flocking to Le Golf National can rest assured that they will be supported by a fast, secure and reliable network that should allow them to have the weekend of their lives. "We have created a once in a lifetime experience for our fans," says Morten Illum, EMEA vice president at Aruba. "What this event will deliver to fans is just incredible."